I’m back from New York and I thought I would share a few holiday family photos. 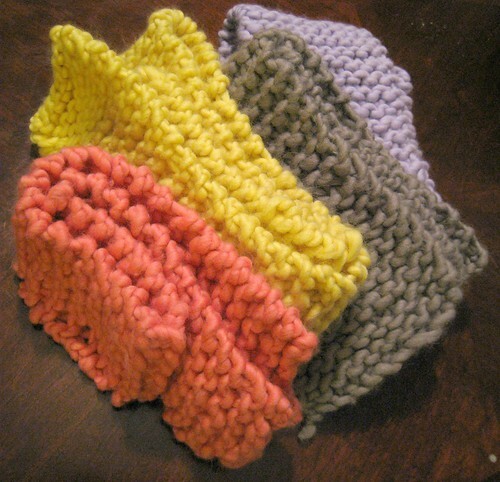 I got all my scarves done for the girls! I made 4 in less then 24 hours. 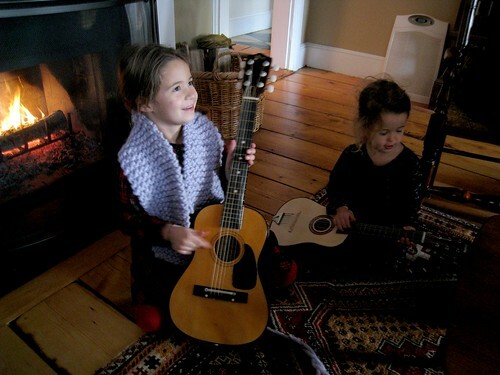 Above is a shot of the scarves and below are a few of me and the girls modeling my designs. 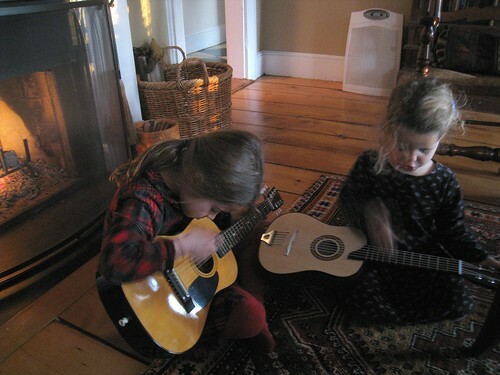 I also got my nieces guitars for Christmas which they seem to love. With all that knitting I now I have an pinching pain I refer to as, “Knitting Back.” I must be really out of shape or just getting old. I guess I need to take a knitting break? Hope everyone had a safe and happy new year! 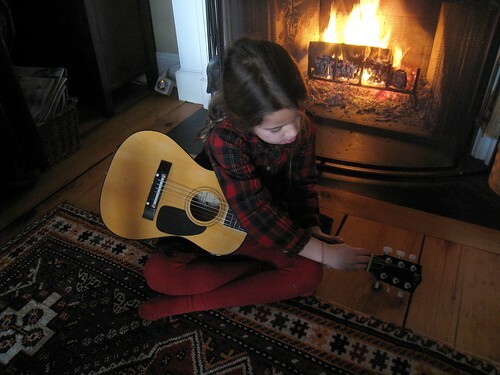 Little girls and their guitars, so freaking cute. 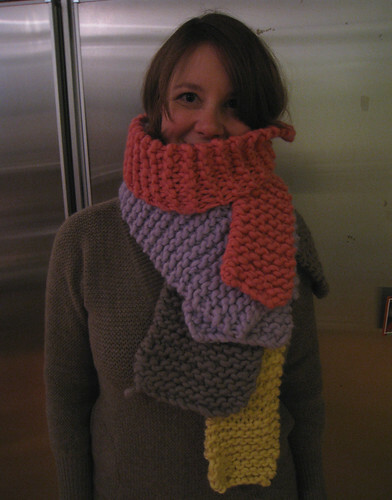 Wow, lady – that is a lot of knitting. No wonder you are on the injured reserve! They look great though – I love the colors you chose – and the recipients look as pleased as punch.